An all round tan is hard to achieve, if you live in the UK. 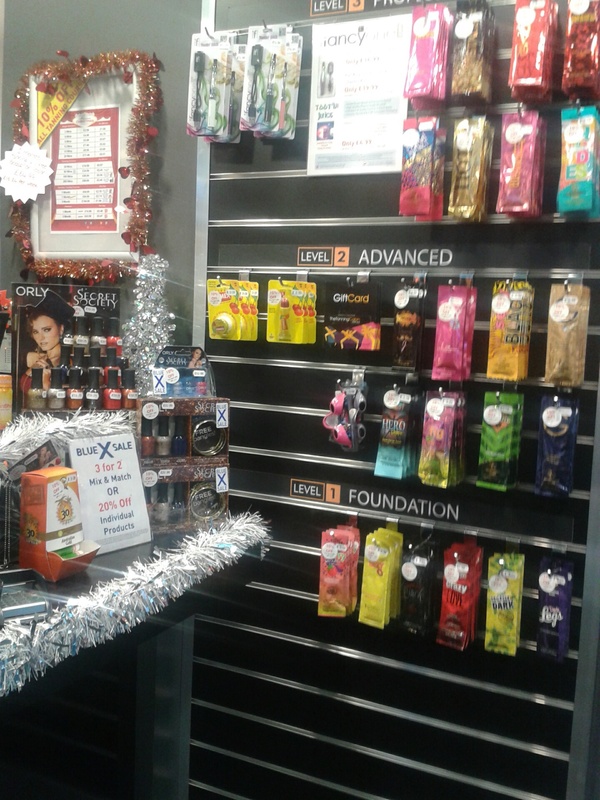 Thus to keep themselves glowing, men and women will visit a tanning salon. I'm not a fan of the sunbed, but they're still popular. I visited The Tanning Cabin in Wednesbury, with a friend, and whilst I was waiting for her, I got the chance to look around. 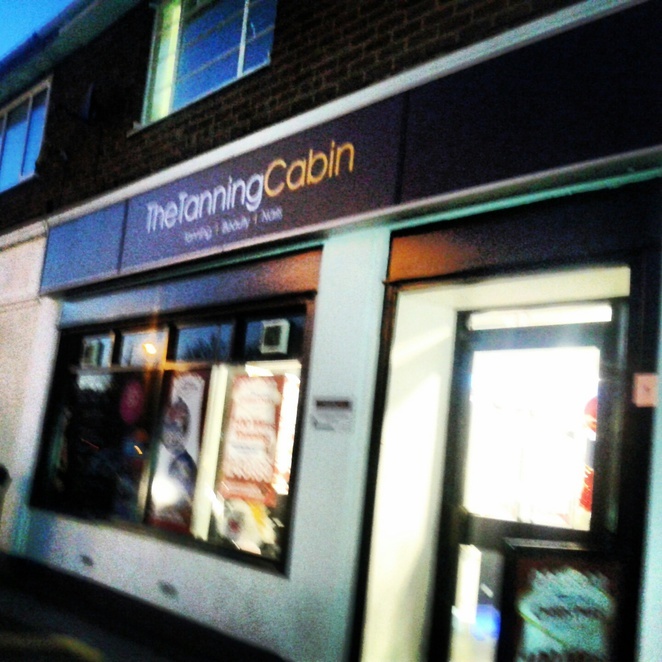 Tanning Cabin is only a small salon, but very professional looking. It has four sunbeds (three lying down, one stand up, in varying degrees of strength), and is replete with lotions, tan enhancer, and dance music. Intrigued, I thought I'd try it for 3 minutes (the shortest time available). The member of staff was surprisingly thorough. I've never used sunbeds before, so she explained about the stand up and lie-down beds. Apparently the lie-down beds are more relaxing, so I opted for that one. It was quite fancy, and high-tech, which made me feel a bit more safe. I'd had an image of an actual bed, a button, and I'd wondered how you turned it off, but the member of staff showed me how. 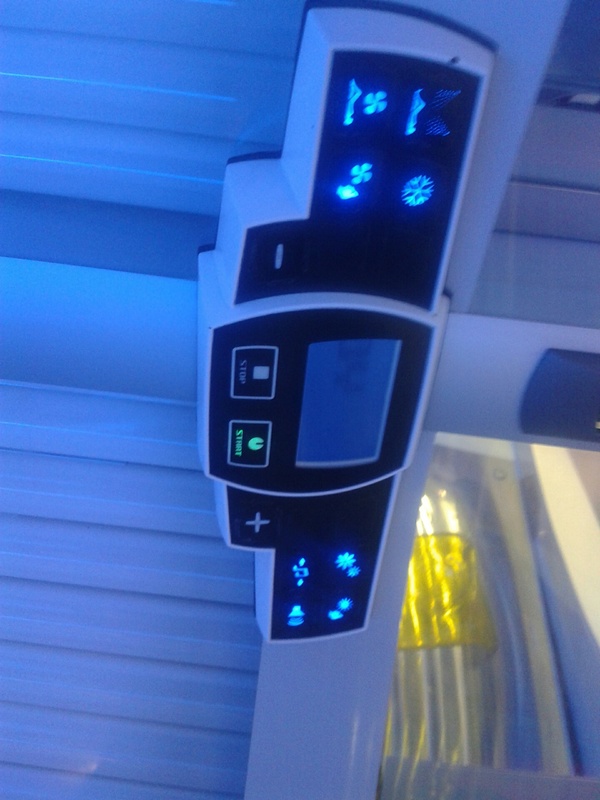 The sun bed is automatically programmed to the amount of minutes you've paid for, and if you want less of a tan on your face, there are controls on the bed which allow you to 'turn off face tanning'. 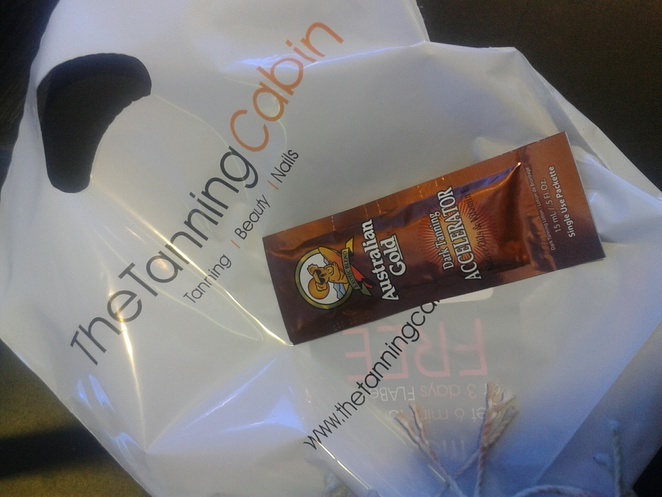 The process was voice-activated, and a female's voice announced 'your tanning starts now', which was reassuring. 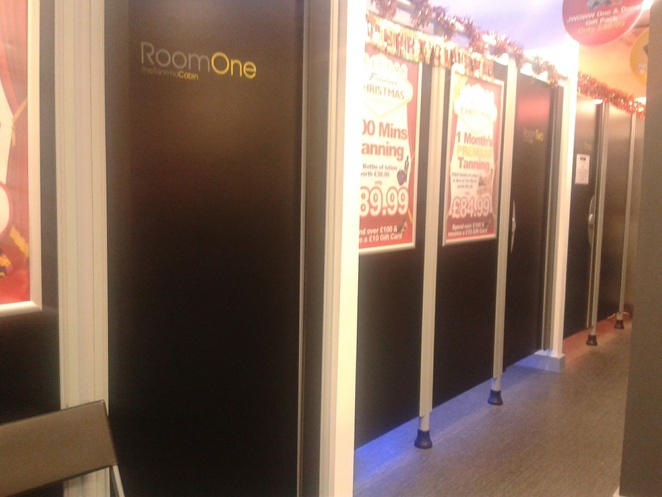 If you're claustrophobic, you might want to try the standing up tanning booths, but the member of staff was right; my lying down experience was lovely. 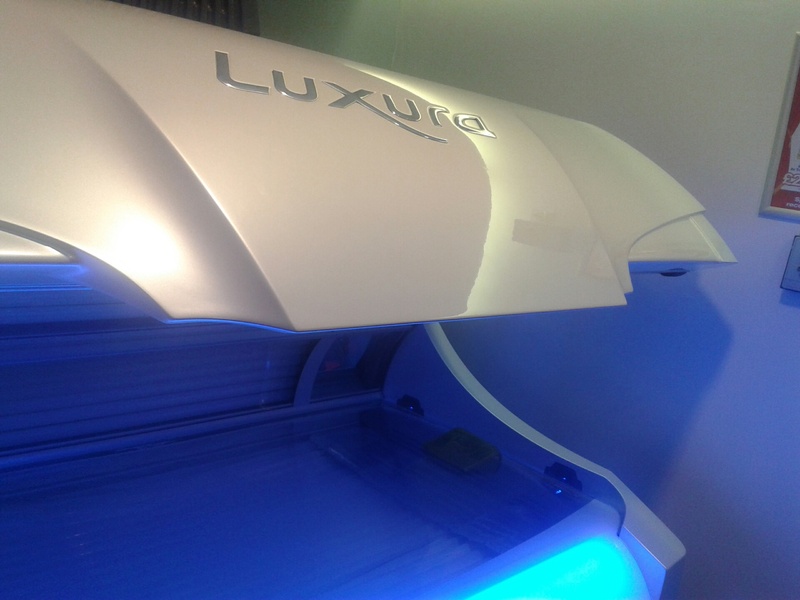 I wasn't sure of what to expect, but the sunbed works by shining high beam light as well as a warm blowing sensation on to your body. It was like being in a bright, yet relaxing cocoon, with a hair dryer on the warm setting. I was given goggles, a pen, tan enhancer, a key ring, and a VIP card in a little bag. I didn't bother with the tan enhancer, but my friend who has a light to medium complexion swears by it. My three minutes were up quicker than I thought, and I have to say, I was a little disappointed when it was over. I didn't sign up because in my eyes, the safest tan is a fake one. However, for three minutes (£3.00), it make me feel quite good, and I certainly left with a glow to my cheeks - and body for that matter.